Horizon Services are warranted for one year. Horizon offers a choice of the latest audio video products in all price ranges. Choose from the latest televisions, projectors, speakers, receivers and media players that will comprise your dream entertainment systems. Operating your audio/video systems shouldn't be complicated. In fact, it should be effortless. 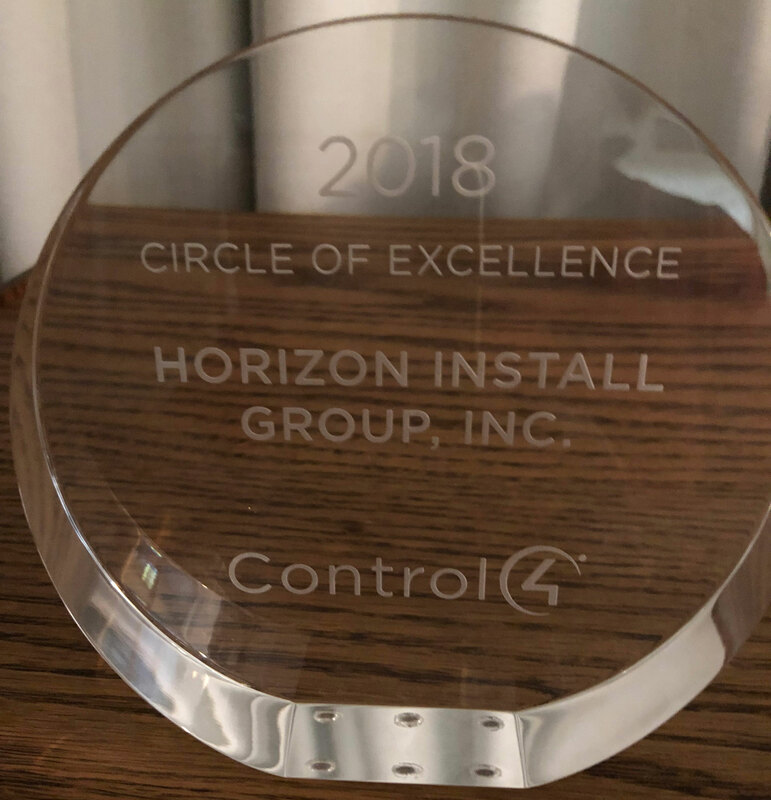 Horizon offers total solutions with Control4 for maximizing your investment with easy to use wireless remotes as well as Smart Phones, Tablets or Touch Screens. You can even operate your system with your voice. Control your TVs, Whole House Music, Automated Lighting, Climate and Security systems. Horizon offers a variety of Internet and Wi Fi networking systems. We enable your computers, portable devices, connected audio video components, Netflix and other media services to work perfectly. Horizon is certified to sell and install the finest cutting-edge audio/video, control and network systems. Furthermore, we offer on-going technical training programs and seminars for all our staff, ensuring we're always current on new technology. We offer a complete ensemble of products and services to outfit your home or office. We have the people and services to ensure your commercial application or residential environment is built exactly to your specifications. We have a one year warranty on Horizon parts and installation labor. We are C7 Low Voltage licensed and have full liability, workmen's compensation, and contractor's bond. © 2017 Horizon Home Install Group.inc | All Rights Reserved.